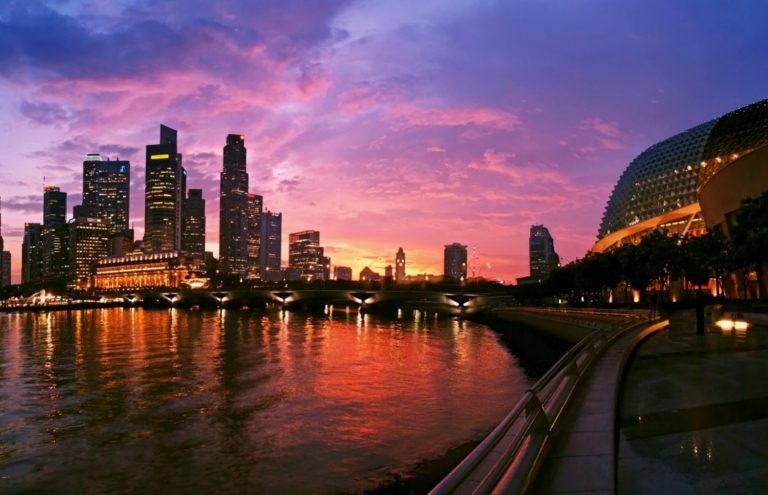 Geographically situated in the heart of Southeast Asia and just 719.1 square kilometres in size, Singapore is an island city-state that packs a punch with a blend of elements that come together in unexpected symphony. From historical buildings alongside modern architectural marvels, to street food served up side by side with internationally-acclaimed gourmet fare, the city is a celebration of diversity that goes beyond the postcard-perfect sight of steely skyscrapers. Singapore’s accessibility, state-of-the-art infrastructure and numerous unique venues make it an ideal location for meetings. 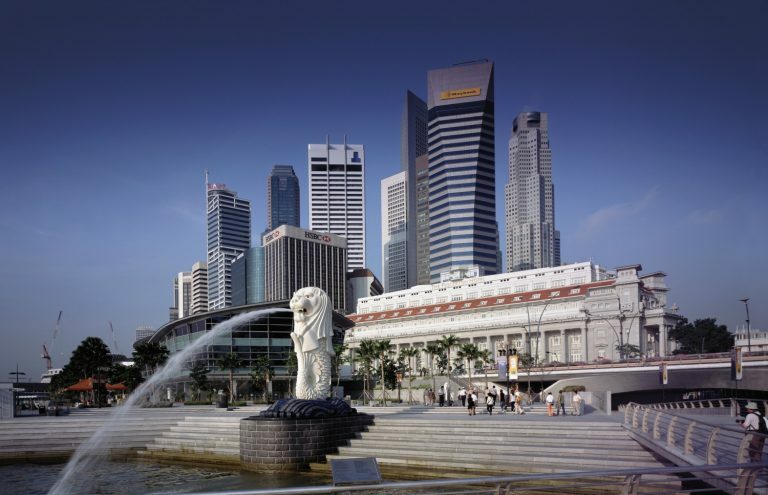 Home to more than 7,000 MNCs and 150 non-profit organisations, Singapore aspires to be a dynamic exchange capital of the world, where possibilities are made. 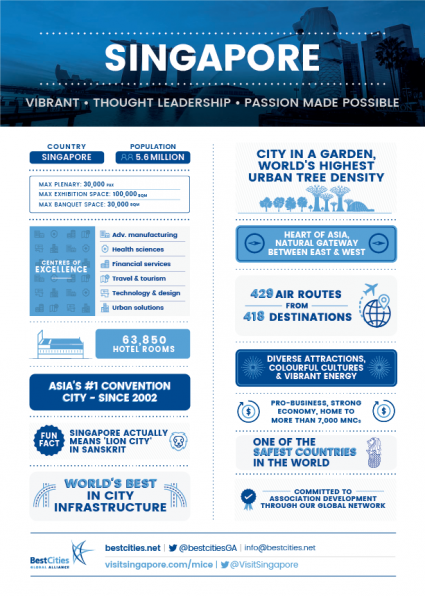 Voted Asia’s Top Convention City for the 14th year in a row by the International Congress and Convention Association (ICCA) and ranked as the World’s Easiest Place to do Business for the 9th time by the World Bank, Singapore is a pioneering and stimulating presence in the business events industry. At the forefront of innovation for business and leisure, Singapore offers a wide range of possibilities to deliver a successful meeting. 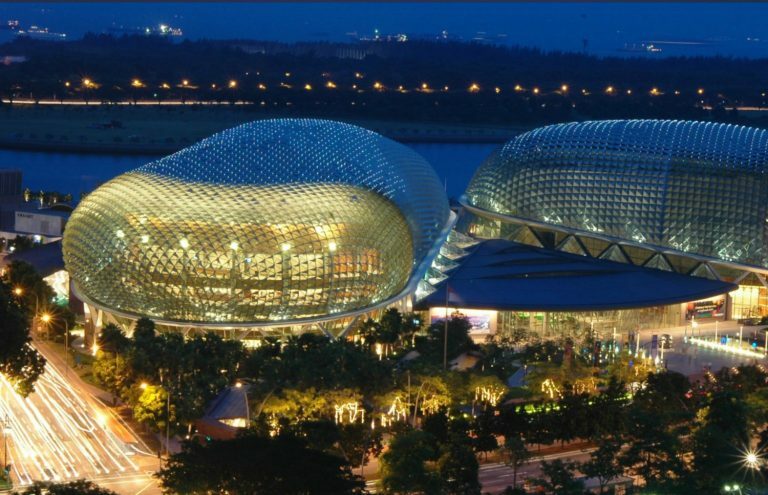 The melding of Singapore’s rich tapestry of culture into a harmonious collective is the country’s biggest attraction. Its diverse places of worship, cuisines and languages co-exist harmoniously, despite their differences. Singapore’s art and design scene is also a colourful brew of local works, with international inspirations. Imagine taking in Southeast Asia’s newest and largest collection of modern Singapore and Southeast Asian art, housed within two of the city’s majestic historical national monuments at the National Gallery Singapore or travel back into the colonial era on the Civic District Art Trail, and learn about some of Singapore’s significant monuments and memorials. Step into Singapore’s well-known precincts such as the Marina Bay waterfront and marvel at the sight of architectural icons such as the Marina Bay Sands® and the Gardens by the Bay that dot the impressive skyline; or one of Asia’s award-winning shopping street Orchard Road; to quaint little cultural precincts, each with its own distinct character and charm. The vibrant city never sleeps with world-class events and local celebrations packing the calendar all year round. 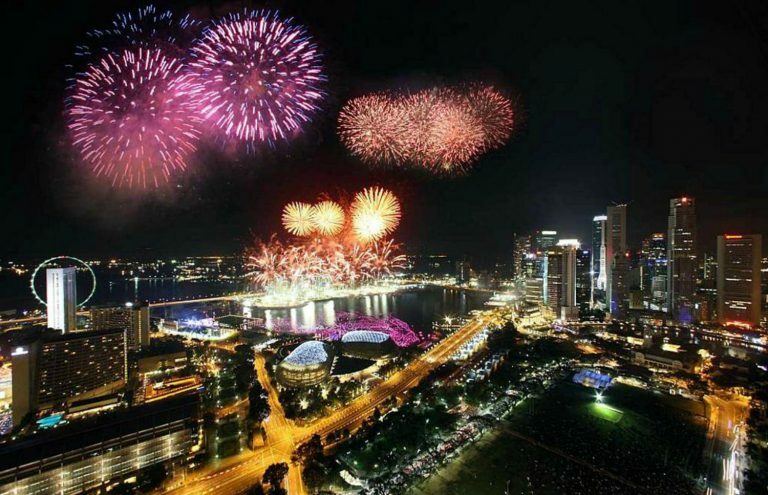 As a cosmopolitan nation, Singapore plays host to many festivals and events that set the city abuzz such as the Grand Prix Season Singapore night race every September and Women’s Tennis Association (WTA) Finals every October. For traditional cultural festivals, head to Chinatown or Little India where lights and creative decor fill the streets with pomp and colour during Chinese New Year and Deepavali respectively. Click here to download images of Singapore.